Just after I came out of the movie theatre having watched Madhuri Dixit’s “Bucket List” where she, who is a heart transplant recipient, embarks on a brilliantly liberating journey of completing her donor’s Bucket List. Now I know that movies are supposed to be entertainment, and one should not dwell too much once they are over, but this time it got me thinking – hard! Given that life today is so unpredictable, shouldn’t I, who is in her mid-thirties, also start ticking off some items off my bucket list too? So I immediately fished out my old scrapbook and started scrolling through my precious bucket list to firstly rejuvenate my memory and secondly to see if I have actually accomplished any of the wishes on there. To my dismay, one of the top items on my list was to learn to ride a bike, and I had no head start there, whatsoever. I immediately called up a friend of mine, who is majorly into bike riding and explained my predicament. He was quite helpful and we decided that he would teach me how to ride a bike on all weekend mornings, so no worries there! But my problems were not solved yet; the next worry was to buy correct and safe (and hopefully stylish too!) biking gear. Just when I was ankle deep in biking gear shopping worries and questions, the same friend pulled another rabbit from his hat, by the name of BikeBandit.com. I spent the next couple of hours going through the details on this site, and trust me I was hooked on the spot. Bikebandit has all the biking gear and accessories you can think of along with appropriate suggestions and a live chat option for apt advice. What’s more is that they have a stunning collection of cheap motorcycle jackets; which are extremely stylish but do not necessarily burn a huge hole in your pocket. Having now equipped myself with the coolest biking gear from BikeBandit.com, I am all set to tick off a very ambitious item off my bucket list, how about you?! I am no longer in my 20's and it kind of makes me sad. But guess what... 30's isn't so bad after all. Being in my early 30's has brought a mix of both goods and bads. I am more patient, have more perspective, almost a pro at "adulting" and if I can say a bit more wiser. Now lets come to the bads. Since I am an adult now, people easily take me for granted. But that could also be because of my Miss Congeniality nature. Dark circles officially made a debut under my eyes. And my skin has never been so dry. If losing weight in my 20's was tough, you don't even know how tougher it is now. Sometimes I feel I just put on weight even if I think of food. Seeking a good skin and hair treatment has become almost like a mission for me these days. And that is how I discovered Yavana Aesthetics Clinic. 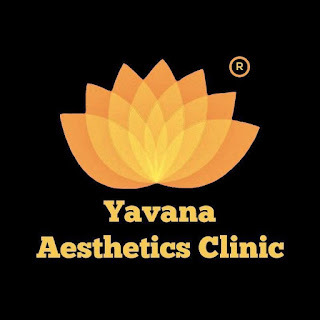 Headed and founded by Dr. Madhuri Agrawal, Yavana has been in the beauty industry for 12 years now. I have had the privilege to work with her in the past and that is how I was introduced to Dr. Madhuri. Last month when I casually met her and mentioned about my skin woes, she analyzed my skin and immediately asked me to visit her clinic for a facial appointment. Well, facials are my favourite, because they relax me too much and who doesn't like a glowing face. I immediately said yes and in a few days, found myself seated at her clinic in Mulund. Dr. Madhuri announced that she was going to do the Fire and Ice facial on me. The name was enough to get me onboard and I readily agreed. detoxifies the skin. The next step is exfoliation of the top layer of dead skin cells to smoothen and renew the skin. The best part about this step was that the blackheads and whiteheads on your skin easily pop out without even hurting you. OMG! 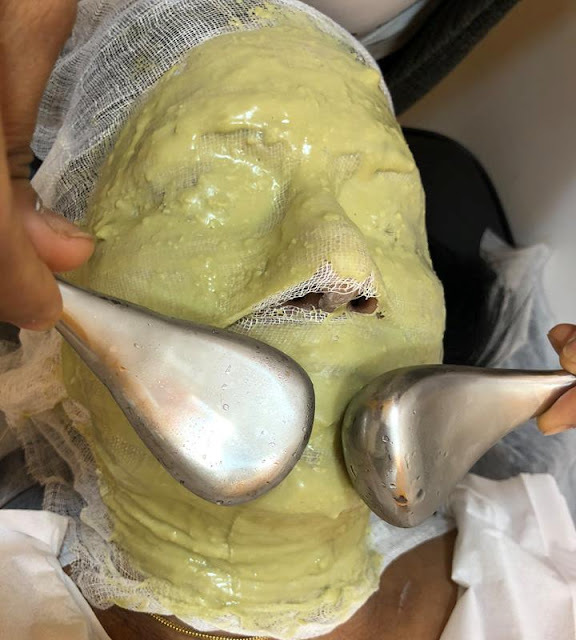 This was so great as I really dread my clean up sessions because of the painful procedure of extracting black and white heads. Now that my skin was fresh and clean, it was oxygenated to plump it and restore its health. The next step was Yavana's signature fire therapy to calm the skin, settle the acne, improve the fine lines and tighten the skin. Then nutrient-rich active ingredients were infused in my skin. The final step was the signature cold mask with proprietary blend of seaweed and marine ingredients is applied to cool and relax the skin. This process took about 60 minutes and by the time the cool mask was applied, I was so ready to doze off. I swear I think I took a small nap when the mask was drying. After the process when I saw my face in the mirror it looked de-tanned and felt so soft and youthful. My skin felt thoroughly hydrated. My verdict: The Fire & Ice facial was a unique experience, painless and totally relaxing. I saw instant results after the treatment and my skin felt supple even after a few weeks. I totally recommend it to anyone who would like to do have a quick fix for their tired skin. I give it a rating of 4.5/5. My previous post was based on my trip to the magnificent Maldives. 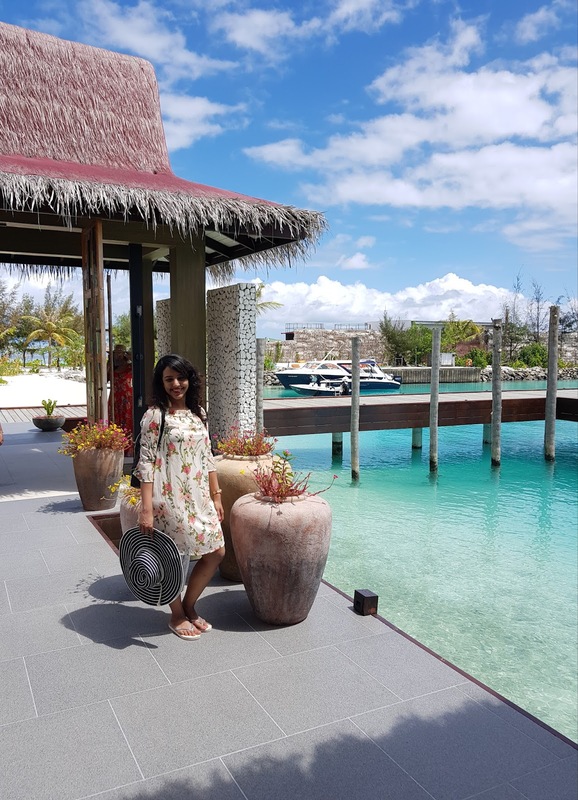 If you're planning a trip to the tropical island soon, then you must check out my post about 5 Things To Know Before You Plan Your Maldives Trip. It was one of the best family vacations we've ever had. We were able to tick off 2 things off our bucket list, visiting the Maldives and a Cruise trip. We had an amazing experience on the cruise as well as the best beach holiday ever. 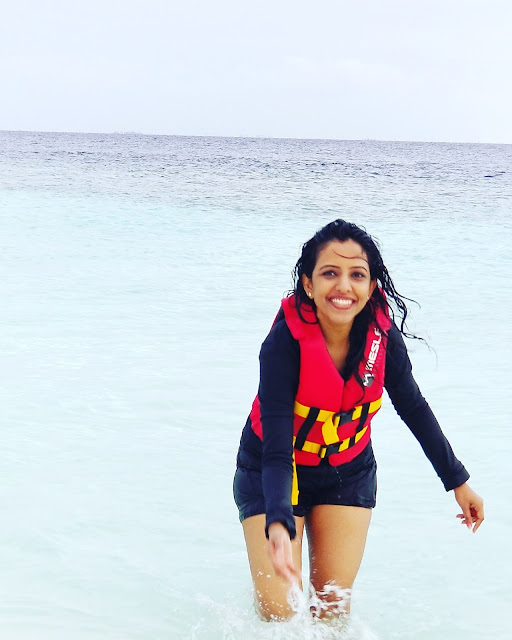 Apart from the fact that I got to spend an incredible amount of quality time with my family, the next best thing about this trip was that I could finally wear bright and breezy outfits throughout the trip. After almost a year of wearing sweaters and cardigans in Canada, I finally had the opportunity to dress less, comfy and cool. I have put together a small lookbook of all my favorite looks from the trip. Hope you like them. 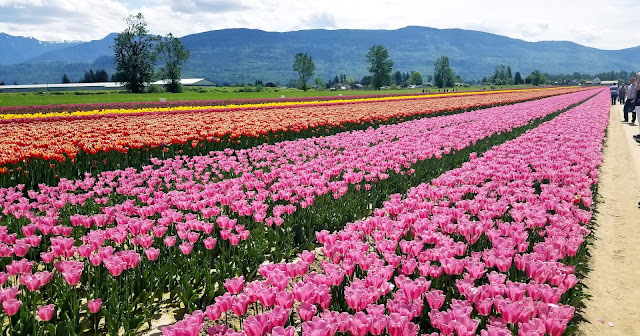 It was last year in March, when I first heard about the annual Tulip Fest that happens in BC. some of which I’m going to share today! To say the Portuguese are “fond” of food, is like saying that the Indians are “fond” of Cricket. For the Portuguese, a meal is religion – to be savored and be faithful! But we Indians are not far off, are we? 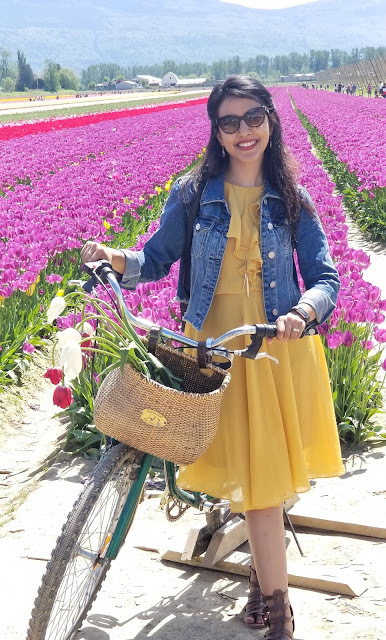 So, it was hardly surprising, when during my recent visit to Portugal, I was as enamored by the quaint and picturesque Portuguese towns as I was with the delectable and mouth-watering spectacle of the Portuguese dishes. Even if you are not a foodie like me, it would be impossible to avoid food in Portugal, as it is almost as reverent as the Romanesque or Baroque church! Since I was so fascinated by the foods around me, I thought about doing a blog dedicated to the foods of Portugal. Although I have mentioned only the top five must try dishes on your next visit, I have also added some of my favorite pictures as well – random ones of the dishes that we tried and absolutely loved! I am aware that traditionally desserts come at the end of the meal, but what else is to be expected from a blog whose writer does not only have a sweet tooth, but an entire sweet mouth! So, I am going to begin my list with deserts! And at the top of the list is, most certainly, Custard tarts (also known as Egg tarts). The fact that they are the most popular sweet dish of Portugal is proven by the fact that no respectable café can be found operational without it’s proud display of Custard tarts. Good with breakfast, good with afternoon coffee, good as a dessert post dinner – basically good, period! So, do not finish your trip to Portugal without a bite into this delicacy. Like they say in Portugal – “You can never just eat one fig”. Originally from the Portuguese town of Porto, this is now a staple dish across the country. Although it may sound weird, it is a cross between a sandwich and lasagne. It has a layer of a local bread, wet ham, a steak or a roast meat of your choice, one or two layers of thick cheese and often topped with a fried egg and served with a tomato/ cheese sauce and potato fries. Delicious and an absolute must try dish when in Portugal, but my only friendly tip would be try this on an empty or near-empty stomach! Certainly not for light or healthy eaters!! Literally translated, Bacalhau is Cod fish. And Bacalhau is essentially dried and salted cod. So, you are bound to find different interpretations of the cod fish in different parts of the country. Every café or restaurant prepares and serves this dish with their own style, so if you do like cod fish, try Bacalhau at least at a couple or more different places, you will be pleasantly surprised every time. Another friendly tip – just check with the waiter or server the kind of sauce and preparation used in that restaurant, so you are sort of sure what you prefer and what you don’t. 4. Sardines : Another local favorite, especially in the summers! Like Bacalhau, there are various ways in which Sardines are prepared in different parts of Portugal. But the local favorites are pickled (a bit strong for Indian palette, though!) or pan-fried and served with potatoes. But as per your preference, you can try this fish in pasta, curries or even in Francesinha! Just make sure that the restaurant serves you the smallest fish in store. The Portuguese have a famous saying – “With a woman and a sardine, you want the smallest one”!! Whether it is the Portuguese version of the Paella, or their own plethora of shellfish-based gastronomy, they are an absolute must try. And like with most the Portuguese diet, it is best if you chose a dish which is simple but champions the local produce. The shellfish itself is so fresh and tender that it rarely needs too much embellishments! So, dig in those mussels and octopodes and enjoy a slice of fish heaven!! We also visited a local fish market in Porto and the sheer freshness of the produce and the variety just blew us away! Now that I have got you drooling, hope you do try at least a couple (if not all) of the local delicacies on your next visit to Portugal. Like they say there – “Guarda que comer, não guardas que fazer. (Save something to eat, don’t save something to do)!! Till next time – Bom Apetite! !